Digital marketing solution for email marketing, mobile, social and consulting. "Some old/clunky elements, but lots of flexibility"
They are still one of the last remaining email providers that has contracts for numbers of email sent, rather than the number in your database. We have very large list of clients, but highly segmented. Many of the clients only request communication a couple of times a year. If we were charged by number of clients, and not number of emails sent, it would be much more expensive for us. Some elements, like their email template builder, are a bit dated. However - it does offer good flexibility especially if you know some rudimentary html code. Check out the type of contract- how they charge you. The software is only part of the equation. Delivra had a leg up on the comp for our business needs. Communication with clients was at success rates similar to other email providers - not a huge spam problem. As a government affairs and association management firm, the feature that immediately got out attention is the ability to have sub-accounts. We send out an average of 10 emails per week between our associations and events and Delivera has made it easy to break it down and ensure our emails are getting to the right people. Coming from Constant Contact, Delivera had far more features that allowed our members to easily read our emails and access the info they needed quickly with button features, etc. On the backend, it was amazing to see the breakdown of our email stats - right down to how many times one person forwarded our email. Very details results which help us adjust to our users. While Delivera has amazing features - you must have the time to figure everything out. I highly recommend dedicating one person to sending emails and giving them at least a week of figuring out all the capabilities and setup. I've been using the account for almost 5 months and still don't think I am maximizing my services, just don't have the time yet. It is worth the switch, even if it is a little extra money. Our read rates and click rates and gone up significantly! Before, we had issues with emails displaying the same across all user platforms - including mobile. With Deliveras features, like mobile view and litmus testing, we are able to adjust and be sure to nix the problem before it even starts. We also use the SMS feature which is super helpful for public events, like our restaurant weeks. Subscribers are able to get info first hand and all we have to do is send a simple text! "Great Reports and Helpful Staff"
I love the easy to understand Mailing Overviews. It's all the information that my coworkers and I need see and it's right at our finger tips. I am also a HUGE fan of the Clickthrough HeatMap. If you haven't looked at this, you definitely need to. It's visual representation of the number of clicks on each link in a specific mailing. It has helped us learn where to place important content in our emails and what links are most valuable to our recipients. I've been using Delivra for a number of years and it used to look so outdated and it was hard to find things. I had to keep notes on workflows because I couldn't remember where things were located. Now that they've been making updates over the last year or two, it's gotten a lot better. It's easier to navigate and find what I need. Keep up the awesome improvements! The team at Delivra helped us set up a monthly educational newsletter for our users and I couldn't have done it without them! They set up our account, taught me how to import our lists each month, create templates, and schedule the mailings. They also help us troubleshoot issues we run into with recipients not receiving our emails. It's refreshing working with a company that has a great product and a great team of people! "Unbelievable number of new features makes Delivra incredibly useful"
In just the last year or so, the entire product has been redesigned and not just visually. The entire process for creating an email has been made easier and compares very well to mass market email software's like MailChimp while continuing to provide advanced segmenting options. The drag and drop editor, naturally mobile friendly design templates, and improvements across the board to lesser seen email marketing tools like signup form builder are pronounced and incredibly helpful. Some of the help documents are still in the middle of being updated and it would be helpful to see this continue to be touched up as some of the information in outdated. I would love to see even more integrations built out so Delivra works 'out of the box' with some of the WordPress plugins I use at my agency. If your company is looking to grow their digital marketing efforts, email is a good place to look. Delivra provides help around service, deliverability, and even content so they can be beneficial if you don't have a bunch of marketers on staff. If you are a one man shop, you may want to stick with MailChimp until you start growing. However at some point you will outgrow it as your marketing efforts come to fruition. Once you have 5 marketers of so, you may also outgrow Delivra. 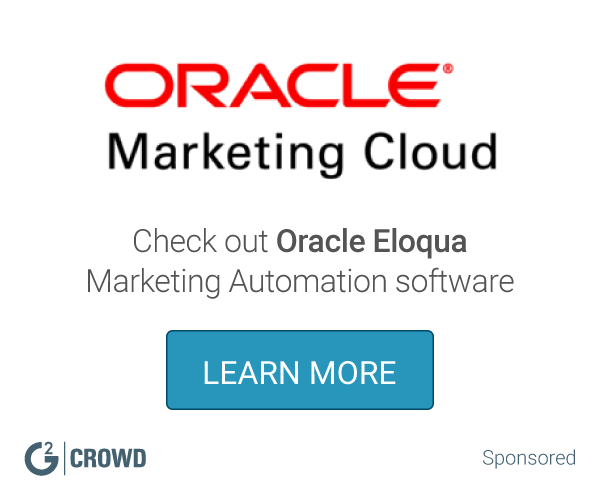 Not necessarily but if you are extremely focused on marketing automation, you may want to look upstream at something like Marketo, ET or Eloqua. Email marketing is a tremendous lead generator when done well. I create email marketing campaigns for B2B companies working to generate more revenue and Delivra has been a crucial part of that. While I have used many other email marketing softwares and marketing automation suites, Delivra provides an outstanding software for a middle range cost and is easy to use for me and the midmarket companies (mostly defined by the number of marketers they have, not the revenue they bring in) I work with most often. "A great marketing tool and a strong team to back it up"
I really appreciate the customer service at Delivra. They are so responsive to all of my questions and always easy to reach. They are also open to suggestions for improvements and are continually upgrading their product.. The deliverability rate and reporting tools are superior to what i have found on other platforms. Their site can be slow at times. i hope they can make some changes to speed it up so we can complete our work faster. Delivra is a great tool for the more advanced email marketer. I think that if you are a very basic user that is looking for a very easy platform, then you might benefit from another tool. Delivra has advanced reporting but their design tools are a little tougher to use. They are constantly improving them though. The customer service is the best I have seen of any tool we have used. We are learning to work more efficiently which allows us to send more mailings that are personalized to the recipients. We are improving our tracking so we can more accurately attribute what content is driving readers to click and complete a conversion. "Comprehensive solution for all of our email marketing needs"
Delivra allows easy yet strategic access to all of my contacts in a comprehensive and meaningful way. The drip campaigns allow me to target prospects personally and record valuable metrics for my marketing team. The support staff from Delivra is top-notch, I'm not sure if I have had a better experience with customer care anywhere else. The staff is always incredibly friendly, patient and incredibly knowledgeable. I'm always floored at how quickly they answer my questions, then offer solutions to better my experience. We are excited to use drip campaigns that will allows us to see who is active in our lists and who isn't, allowing us to clean out our contacts and make more meaningful connections. Not being able to text wrap when creating an email can be a pain. The drag and drop editor is great, however I am always trying to manage the length of my content around the size of an image. There are also a few issues with trying to manage our segments that can prove to be confusing. If there was an easier way to see a total picture of our contacts, how many are in each segment and how to manage those, that would make my life easier. I would definitely give it a try! Lot's of features that can revolutionize the way you see your email marketing campaigns. We use this to send our monthly email blasts as well as invitations for upcoming events. We like that the email creation aspect is user friendly. We really like the drag and drop piece to build your email and the fact that you can change the layout easily without starting over. We have not ran into any issues that were not solved right away during implementation. We believe this product is affordable and user friendly. There are a lot of ways to get mailings to our members. Delivra has been great about helping us through any questions and their support team knows their stuff! All those involved from demo to implementation have been easy to work with and you can tell they enjoy what they do and that our company matters. We are solving the problem of communicating with our members better. Email marketing is another avenue we use to communicate with our members with important information. Benefits so far are that we have a nice clean email and seem to have a good response from our members. "Finally a modern, user-friendly email formation software!" Coming from Constant Contact, I like Delivra because it is SO user-friendly. It allows me to rearrange and format my email with ease and looks phenomenal. The pre-designed templates are also handy if an email needs to go out quickly, when I don't necessarily have time to create my own layout. One of my absolute favorite things about Delivra is the interaction I have received from employees. They took the time to contact me, walk me through the software, follow-up after our first email and let me know that they were always available for any questions I may have. With only starting out with Delivra less than a month ago, I haven't run in to too many problems yet. The only thing I noticed while putting together my company's email was that when formatting certain aspects of the message (contact/social media buttons), I couldn't get them exactly the way I wanted them on both the Desktop and Mobile display. DO IT! Great customer support and a great software for any business. We have completely revamped our customer email lists and imported them into the Delivra system. This was very beneficial because we are finally reaching our CURRENT customers and can easily update those lists each month when we add or lose customers. "Delivra has been a very useful tool for our e-news, and Steven D. is great if you need help. " Not only is the staff supportive and responsive, they offer a lot for nonprofits that are on a tight budget. We used to use another business, but the cost was too high so we tried Delivra. We have no problems at all. The heat maps are great too! There are a few things that are not so user friendly, but for the most part, we were able to figure out how to do things we wanted to with a little help from our rep. H.O.P.E. for Animals has been using Delivra now for about 5 months regularly, but we are always learning how to do more with it. If you are a nonprofit, it is the way to go...Just a little learning curve to learn the system and you are up and ready to start sending e-materials. We are using e-platforms much more now that we have gotten the hang of it. Being able to reach thousands of people on our list with very little time and money is fantastic! "Good functionality, easy for beginner to use"
Delivra is loaded with the features we need, but was intuitive enough to use by me (a beginner) right from the start. A few years in I'm feeling more like a pro, but I loved how easy it was to dive right in and be effective. I wish the contacts interface was a bit more organized -- a laundry list of every email address on the opening screen is not awesome. Tracking and metrics have been our biggest benefit of using Delivra over past services. I love how smart the system is. Delivra is user friendly and simple. The templates make it easy to upload content and make it look appealing. The reports are also very helpful in showing us how many people are opening and clicking on the material we send out. I wish there was a way to keep the color palette used for one layout for another layout. I would help with not having to play the guessing game on the background colors our company uses for our emails. Use Delivra! It's that simple. It's inexpensive and easy. We are able to communicate with our employees as soon as needed/possible. There is no longer a wait for relayed messages. It's instant and successful. The SMS feature has also appealed to our your and hipper employees who might have their phone on them at all times. "Easy to use email marketing"
I love the drag and drop editor. It makes building the basic parts super easy. We haven't started using the sharing or social media links but they look very nice at the bottom of the emails. If we had a designer on staff we would probably build our own templates but since we don't the drag and drop is perfect for us. All of the reporting that is available is super helpful. My favorite report is the click through heat map, it shows you how many clicks are made and it appears all in a snapshot of the email itself, so you can see what parts hit the most in terms of location inside the email. Sometimes the editor can get a little weird when it comes to the buttons and padding. I know that some email providers don't render the code correctly and it can look a little different from what you see in the editor, but I've had consistent issues with placing certain types of buttons at the top of the email. You just have to make sure to test on multiple platforms before sending, but we do that anyway just like any other email. We send out a newsletter that is geared toward reducing call and chat support volume for a software company. The reporting that is available has really helped us prove that this newsletter is working and actually driving volume down through proactive and educational content. We've used a few reports recently to present our newsletter to other departments and they were very impressed by the power of Delivra! We also use Delivra through an API in our software so that our clients can use the same powerful email delivery and reporting that they have to offer but still within our application. The drag-and-drop feature makes it easy for non-technical people like me to use. The mailing list and port is fairly simple, and I absolutely, absolutely, absolutely love the reporting feature where we can see the click through's and target a second mailing two classes of recipients. I would also appreciate an auto save feature. Some key combination that I'm not aware of or click somewhere on the screen deletes my entire work and goes back to a blank template. Given there is no back button or undue, this is been very frustrating several times. I know I can manually save throughout the process, but in today's world where all of the Other programs I use have autosave, it is very frustrating to lose a ton of work and have no way to recapture it. Also, despite being told several times that the bullet feature is fixed, it is still not fixed. We have no way to be in front of our clients periodically without a face-to-face touch, which can get impossible when your clients number in the hundreds or thousands. Delivera gives me a simple way to reach out to them. I don't utilize it as often as I could, because of the slow load times as I'm working through a mailing, but it definitely has kept our name in front of prospects and changed cold calling to warm calling. I love the intuitive tracking tools that allow me to see the full breakdown of who is receiving my newsletters, click through rates, and even track ads within the email. After uploading an html file, I'd like it to open the newly uploaded file as apposed to redirecting me back to where ALL files are kept. Just an extra step that can be eliminated. Know your HTML3. I like to create newsletters 100% custom each time. Although Delivera's editing tools are great, there's always an upper hand to having full control over your content. How certain demographics are interacting with content. Delivera also makes it easy to break down what device is being used to view my content making it easy for me to adapt and make further changes catered to the crowd I'm trying to reach. "Delivra is the perfect email marketing software for our manufacturing firm"
Delivra has always been easy to use, but continuous improvements have made it even easier. There are also a number of tools that allow users to receive training on how to utilize changes that are rolled out, including webinars and how-to videos. We have a multitude of opportunities to expand our email marketing efforts without having to change our email marketing software. The only thing I dislike is the feeling that I am under-utilizing the software! Delivra offers a great product targeted at customers who are not interested in paying exorbitant fees for someone else to do their marketing for them - they make in-house marketing easy with a small marketing staff. Using Delivra has allowed us to have a consistent method of follow up on trade show leads and other prospects that are traditionally overlooked by salespeople. Because of Delivra, we are able to contact these people regularly about our products, even if they haven't ordered from us in a while and have fallen off of a salesperson's radar. "CustomerCount is a G2 user!" Our team at CustomerCount seems to be very pleased with the formatting and emailing capabilities. At times, are there extra steps required while working through our various databases(s) in creating the full contact list for the initial email burst? The capability of text/ messaging would be ideal. However, this ongoing discussion of features or other benefits would be better served through our marketing team. CustomerCount is reaching a diverse group of enterprise accounts and can customize our messaging as needed by industry, product offering or otherwise. Some benefits are realized in immediate connections and yet the company branding and CE industry messaging is ongoing and probably harder to quantify at this time. This company knows how to put their clients first! It isn't really a dislike - more a general observation: This field is every changing and it can be challenging to keep up with it. Go for it! They will work with you to meet your needs. We knew that we needed to be able to connect with our donors, event attendees, and members in a unique and immediate way. Delivra allows us to do this! I use Delivra on a daily basis at my job. I really like the drag-and-drop editor for custom emails. Also, the deliverability of our emails increased when we switched from Act-On to Delivra, which is always a plus. I also really like how quickly our email contacts uploaded into the system (compared to other systems we've used in the past). There are a few bugs in Delivra that can be frustrating at times. I have had ongoing issues with the links changing colors, emails looking different in Delivra and Outlook, and getting links to open in new/same windows using the drag-and-drop editor. Definitely take advantage of the drag-and-drop feature. Also, learn shortcuts (like copying existing emails, updating mailings with one click, etc.)! We have used Delivra for lead generation, event promotions, and general outreach to our contacts. We have been able to grow our contacts and increase our email stats significantly using Delivra. "Smooth Transition to even Smoother Implementation"
The customer service is exceptional and the personal touch goes a long way. The design team is fabulous and put together a template that exceeded expectations. I am still waiting on my template to be usable in the drag and drop editor and haven't had much communication on when it would happen. I haven't been asking a lot, but just know it was coming and haven't heard much since. It allows us better management of subscribers and putting a better product in front of them in order to have a clear message. We had many compliments on the switch over. "Affordable, but not as intuitive as other systems." I like the ease of access. COming off the use of Constant Contact, I was definitely looking for a seamless system. For a small organization it’s great. I can’t think of a kinder way to say it, but the system just feels a little cheaper. Ensure that this system is financially in your scope. Also be aware of the big “DELIVRA” logo at the bottom of. The email. I’m sure removing that will cost more! Reaching customers! Based on our custom templates we have had an opportunity to increase registration to events. "Efficient and Effective Email Tool"
"Great look and helpful analytics"
Our team enjoyed the personal connection we developed with the Delivra staff. Additionally, the Delivra displayed patience during the implementation process, which happened to be one of our busiest times of the year. Each person of the Delivra staff listened to our apprehensions and concerns and made sure we were comfortable throughout the entire process. It also helps that their local! Compared to our previous email marketing agency we worked with, Delivra staff hit our expectations out of the park! We are wanting to have graphically appealing and concise emails so that we can continue to increase engagement and fundraising. Our marketing folks have always understand the importance of email marketing and being sharp digitally as an organization, however, it is now exciting that this has been embraced heavily by upper management. I love the effectiveness for our brand and the true compassion from the people who work at Delivra. I dislike that more people don't know about them! If you're questioning the effectiveness, go in and talk to Erin. She was so helpful and a pleasure to work with. She made sure all of our questions and concerns were addressed before going any further. We had trouble finding a way to appropriately reach out to our clients (as a recruiting firm). We realized that marketing content updates using delivra worked like a charm. Delivra has provided excellent service and quick responses and turnaround time for my projects. I like that I can reply to a ticket directly via email without having to log in to a management site. My personal experience with Delivra thus far has been positive, and we look forward to continue building our relationship with the company in the future. Design work for emails, and we will soon be using Delivra for more email needs for our company. It's helpful to have an experienced team that can provide solutions as we have a limited number of staff and resources for design and delivery purposes. Delivra offers more flexibility than our current email service provider. "Children's Bureau Switches to Delivra!" I am a bit frustrated with the list management and the sending/scheduling. I find it cumbersome to have content in one area and mailings in another. As someone who has used MailChimp, I'm left wondering why you made such a great drag and drop editor, only to leave the campaign flow so choppy. We are creating e-newsletters to address employees, volunteers and corporate partners. We are only in the beginning stages. "Delivra makes our corporate newsletter professional and easy"
Templates are easy to create and the drag-and-drop feature is perfect for those without a design background. In terms of reporting, the click through heat map allows us to see what parts of our mailings are being interacted with. We're very happy with Delivra and have yet to run into any issues at this time. We use Delivra to create and distribute quarterly newsletters for our PR agency. The newsletters go to former, current and prospective clients and they highlight our culture and client successes. We've received numerous compliments about the design of the newsletters which has been made possible by Delivra. With this product you can easily create professional emails for marketing. There is a learning curve, like any other product. Once our users had one-on-one training, creating emails was quite simple. The guidance from local representatives has been very beneficial and the product is easy to use. This is a fast, efficient way to get send marketing emails to a large base of people. "Delivra is our email deployment company"
Attention to detail is a critical function for our deployment, Delivra is excellent at designing, deploying and managing our requirements. Like all technology companies there are anomalies in relationships and with Delivra they are really held a very minimal level. We are an online feedback management system and service. We deploy 4-7 million emails a year through Delivra and have had no problems at all. The ease of use. It is easy to clone previous mailings and tweak them to send out again. I also like the database list management - it is easy to use. I have come up with too many dislikes within the system - I really like the system overall. The system really helps with Content management and also database management. "Excited To Learn How this Product can boost Sales"
From an editing standpoint sometimes the editing view and the test email look different. I had to go back and forth and send multiple tests before it looked right. Mentioned before, I'm excited to use the reporting tools to learn more about our clients. "Great for e-mail marketing and retention"
Our dedicated account manager provides great support. There is not really much to complain about, I suppose it could be cheaper. We use Delivra to acquire and retain students throughout the entire lifecycle. "Using Delivra for participant communication"
Delivra has proven to be versatile and easy to use. At this time, Delivra manages to handle my needs. The fact they have an accessible API makes this far more capable than I am currently able to use. This product allows my staff to create and duplicate quick consistent emails, and track their reception. Customization is hard. I wish platform supported copying and pasting when actually building your emails. "Delivra is the easiest tool I have used in the recruitment industry. " I like that Delivra is very easy to use and walks you through the process step by step. Also, I like that I can see every report imaginable to track various data. This tool has helped our company build a strong marketing case to our hospitals. I honeslty do not have any dislikes with Delivra. We are actively recruiting physicians. This tool helps us follow up with candidates who have opened, clicked or forwarded our messages. We love this feature on Delivra. "Under promise and over deliver"
Delivra staff are constantly looking for ways to add value and improve their product. nothing so far, we really like everything that we currently use. Great product, great company, highly recommend! Automating communications to enhance the engagement with our constituents. Too many steps to follow. It is a little complicated for beginners and easy to make mistakes. "Great! The service and product is outstanding." The flexibility of the product is great. Not as rigid as others. So far so good. There is nothing we have come across that we dislike. We are using this to help manage our clients opt-in database. "the product has been great so far.this is an excellent way to keep in contact with our customer base"
ease of use, ability to customize mail pieces with a few clicks. great product! very inexpensive way to keep in touch with customers. great product! long term periodic follow up with our customer base. this tool makes it easy to contact hundreds of valuable customers at a few clicks of a mouse! There is nothing I can think of negatively about Delivra. The sequence in which you create an email is logical and easy to use. There are some extra steps for creating an email, like creating the mailing. I also wish it was possible to duplicate existing content. We are sending out webcast invitations to thousands on contacts. This platform allows us to reach hundreds of thousands of contacts per week. Sending a lot of emails to a lot of people. Delivera is much quicker than other programs I've used. Easy design and many choices to use while designing. Nice results. Do training - get a mentor - call Help Team. Sending newsletters to our constituency - easy to communicate w/them. "Straight forward email and SMS marketing"
Combined SMS and Email functionality in one package. WISIWIG for email creation is not as simple as possible. Cannnot combine keywords into one SMS message. Affordable product that provides email and SMS for marketing and notification purposes. "sending out mass emails for prospects and current cliernts"
The staff is great to work with. Hey are all friendly and knowledgeable. It is a little of a learning curve from what we have used in the past. * We monitor all Delivra reviews to prevent fraudulent reviews and keep review quality high. We do not post reviews by company employees or direct competitors. Validated reviews require the user to submit a screenshot of the product containing their user ID, in order to verify a user is an actual user of the product. Hi there! Are you looking to implement a solution like Delivra?